Do MLM software for start-ups benefit your business, whether it comes to cutting costs or generating revenue? Are you wondering what multilevel marketing software can do for your business profits and growth? One of the biggest concerns a start-up has to address is cost-efficiency. For any small business or startup, affordable MLM software can work its magic. But there are a lot more benefits your business can gain through seamless direct selling software. This blog covers the benefits of MLM software for start-ups. Multilevel marketing apps, after all, are designed to lighten the company’s load and make work much easier. But they can offer so many more advantages. To understand why MLM software plus packages from a reputed solutions provider can help you, look no further than this blog. Let’s try to understand why MLM software can rev up your growth engine. To begin with, direct selling aims to motivate existing distributors of organizations to recruit new vendors in their downline. They do this by paying current distributors a certain percentage of client sales. Vendors are further earning profits by selling products directly and earning additional money with the assistance of recruits. The very complexity of transactions makes it difficult to track accounts or sales. 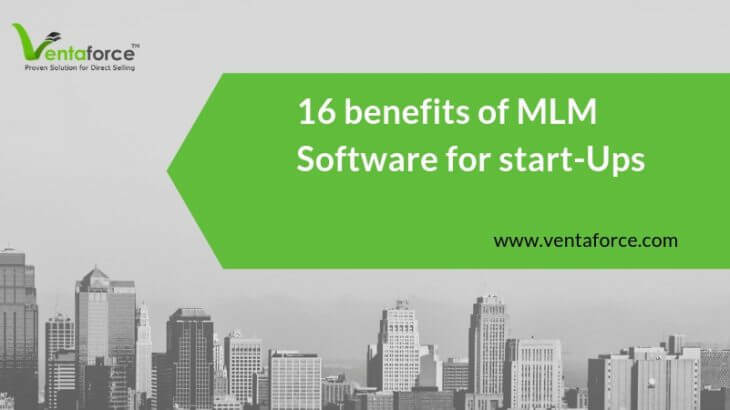 Beyond this, The benefits of MLM software for your startup are multiple. Direct selling software makes it easy to track where all the earnings are generated. Transform your business through flawless software solutions, if you seek solid ROI and profits. Multilevel marketing software benefits range across helping businesses to stay on track and save time and money. Resources and manpower are also utilized well through customizing MLM software. Multilevel marketing software empowers companies to advance. It also helps to understand earnings records and track the distributor’s earning. As distributors sponsor individuals, earnings accumulate. So the more your MLM business grows, the easier it is to track the progress, using MLM software online. Here are the various benefits of MLM software for your MLM start-up. One of the obvious benefits of such software is the scalability. This software is flexible. So, different companies work together on the same applications effortlessly. 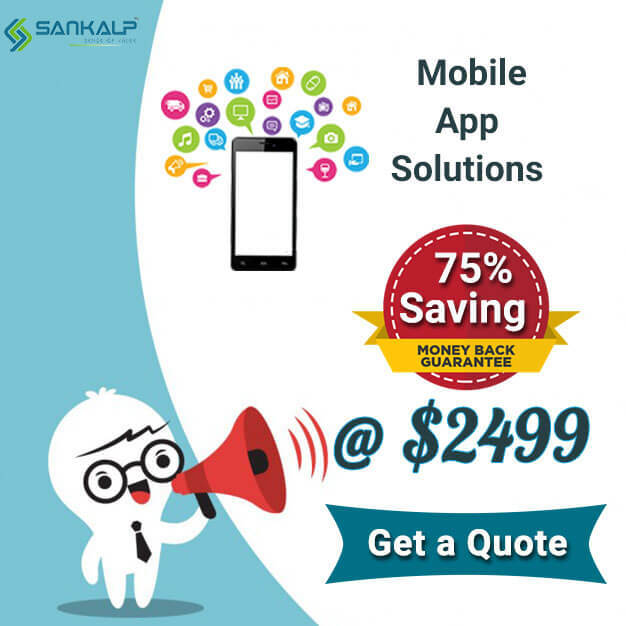 The software is customized as per the demands of your business. Simply put, cost-effective MLM software for your start-ups MLM business streamlines data customer records. Supplier record-keeping is complicated and time-consuming. But your MLM software solution makes it simple and easy to manage. One more benefits of Multilevel marketing software include maintaining the data in storage that is safe, secure and easy to access. Apart from flexibility, MLM software solution for startups is completely cost effective. You can cut down on business cost by nearly 50 percent. Companies using the software can build profits steadily. MLM software is a must-have value addition for any MLM startup. Multilevel marketing software provides integrated solutions for different tasks. So, you don’t have to spend a lot of money on various business tasks. Your MLM software can do it all for you. Gaining intuitive software helps in securing different MLM compensation plans. The software enables members of different business organizations to perform tasks in a hassle-free way. MLM software also directly works to meet the requirements of different network marketing plans. This type of software is extremely intuitive and just what your business needs to grow. Hire a multilevel marketing software company for boosting business productivity and access reliable solutions that work. The benefits of Multilevel marketing software extend to security as well. An expert team of developers can secure software for your MLM business. Security and confidentiality of data collected through the software are assured. A Records of team members working in the organization are effectively compiled. Through the means of reliable MLM software, your growing MLM business can track its team members all the time. Effective resource management remains at the heart of a successful business, apart from security. Basically, due to the structure and payoff scheme, it is hard to manage a direct selling business. As businesses grow on a global level, there is a need to automate. With the best quality and customized MLM software, any direct selling business can now thrive. Controlling, monitoring and managing resources are easy. Using technology and staying ahead of the competition also matters. In this way, strategic use of easy MLM plan and affordable MLM software can directly benefit your company. The way technologies advance can also benefit your company when your MLM software solution is flawless. For successful expansion and growth, using technologies and implementing these is essential. Direct sales companies starting out need to leverage MLM software if they want to expand. Your network marketing software benefits your small MLM business startup in big ways. It uses technologies to plan, control, measure and optimizes direct selling for steady profits. Customized hi-tech MLM software meets your business requirements. What sets MLM software apart is its precision. Network marketing software offers customized solutions for every small business. Management can work efficiently for more effective decision making in this way because MLM software can help your business to manage huge amounts of data. Further, it transmits results quickly and facilitates delegation to company management. Network marketing software also plugs in gaps in effective management. Redundant data is removed. Well-structured information is factored in. This prevents losses and generates profits. Strategic planning remains at the core of multilevel marketing software benefits. Invest in good MLM software, because it can meet all your needs and update easily. When you consider what other reasons are there for choosing direct selling software, agility comes into play also. MLM software for your start-ups offers a business starting out a chance to future proof the business. Beating loopholes with precision are important. Businesses are filled with seen and unseen challenges. Surviving and thriving are easier with agile MLM software that is feature-rich. MLM software features are such that this software solution syncs with budget and requirements. To understand the benefits and utility of direct selling, MLM software for start-ups, one needs to understand how network marketing works. Network marketing startups with distributors selling to a massive network need a software solution they can rely on. Network marketing follows the concept of operating on a system that yields quick results. Multilevel marketing software benefits are at the heart of a successful business. Exceptional network marketing software renders full support to businesses. MLM or network marketing software helps in control, implementation, and management of companies in network marketing. Be the disruptor in your industry and bank on such future-ready MLM software. For direct selling companies, each of the MLM software features discussed here is useful. Expert network marketing software offers the flexibility required to launch MLM scripts in e-commerce. With more than one payment gateway and multiple languages and vendors incorporated in a single app, your software can meet many challenges. This type of value-for-money MLM software is easy to launch, write scripts, modify and customize the kind of network marketing software for accommodating settings and global preferences. MLM software for startups offers easy use of marketing tools for attracting customers to websites. The software further provides replication of pages making it easy to manage and update downlines and sell company products directly. Using well-structured, pocket-friendly MLM software is easy. With scripts, developers can customize the software as per the specifications and needs of companies. MLM software for start-ups ensures the organization can be managed efficiently and easily. Effective management of an MLM startup requires adaptability, too. A big challenge in the direct selling scene is accommodating changes. MLM software allows ease of updating with smoother control. Diversions or expansions in startups means changes are needed in software. An excellent MLM software service provider keeps up with maintenance and updates of software. So, your software can be used across time. Further, network marketing software updates and troubleshooting should be easily handled. Effective MLM software can adjust to your MLM business needs easily. Get a customized direct selling software as per your requirement. An accurate and reliable network marketing software is the key here. With plenty of experience and thousands of clients all over the globe, the right MLM solutions provider is a strategic partner for growth. MLM software for start-ups is simple to use and extremely accurate. It is well designed by skilled programmers. Precision is a strong point of this customized, innovative software. Besides its precision, budget-friendly MLM software has empowered entrepreneurs to showcase offerings on online platforms, while making a lot of profits. MLM customized software enables network marketing professionals to evaluate commissions effectively. Simple or multi-level commissions are easily managed. MLM commissioned and customized software for start-ups is perfect for different plans such as stair step, binary and matrix plan, board plan, hybrid MLM plan, generation plan. MLM software also catapults products to instant marketability. Benefits of multilevel marketing software meet ever-changing marketing requirements. Software systems have been designed to meet numerous business tasks across SME and large enterprises. The MLM software also offers 100% control over daily business processes. The focus shifts to expanding the horizons of a business, but reliable software always keeps up with the pace. MLM tracking software has impacted the network marketing world in different ways. The value of MLM software is that it lets marketers analyze, optimize and manage all the digital campaigns. With rapid set up, MLM software for start-ups scales impeccably. Additionally, the MLM software automates machine learning and analytics for superior performance. Campaigns are optimized and numerous channels are managed in a single place. The MLM software for start-ups allows small businesses to also be able to access super marketing tools. Anyone involved in multi-level promotions can boost business outcomes using cost-efficient MLM software. Multilevel marketing software is perfect for effective resource allocation and utilization. Using the right resources is not enough. You also need enhanced communication capabilities. Empowering and fostering open channels of communication within your MLM business startups is now easy. Multilevel marketing software benefits span across communication features. While choosing a program for an organization, software apps offer diverse communication systems so your MLM business functions well. Each of these benefits we have shared so far, from enhanced communication to increased flexibility, will impact business bottom lines. For a start-up, best MLM software can make it possible to reach customers efficiently and market products effectively. So, whether it’s communication, marketing, organization, management, resource allocation or any other benefit, multi-level marketing software for start-ups offer incredible value. This is why your small business or startup needs reliable MLM software. For the best MLM software, check the feature-rich Ventaforce, Sankalp’s customized MLM software has on offer. Your small business will grow from strength to strength because of Ventaforce’s feature-rich, future-ready platform. Ventaforce is the ideal software solution for any growing business. Find out how Ventaforce can bring your startup network marketing success and establish market leadership in the industry. Visit https://www.ventaforce.com/, see Sankalp’s Ventaforce Facebook, LinkedIn, Google Plus and Twitter pages too. Our exclusive YouTube channel is another rich source of information about Ventaforce’s ability to transform your small business. MLM Software benefits of MLM software, MLM Software. permalink.